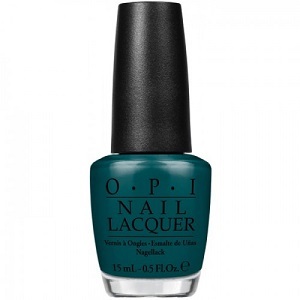 OPI Nail Polish, AmazON..AmazOFF, NLA64, .50 fl. oz. Deep jungle green nail color with subtle blue undertones and subtle, hidden shimmer.